Humor / Music News & Info: Classical / Music News & Info: Rock, Jazz, World Music, etc. For the longest time when it came to Twitter, I fought the power. I thought it served best as a source of comedic fodder for late night talk shows and their friends (e.g. how could anything ever top this brilliance? I gained a newfound respect for Josh Groban after seeing it). I finally jumped into the fray early this year, and since then, well . . . it has exceeded my very low original expectations. It has proven to be a good source of timely information, not to mention an occasional source of unexpected amusement. That said, you often have to wade through a lot of chaff to get to the Twitter grain, and because of that, I sometimes take a few days off at time from reading my Twitter feed. Usually, this is no big loss. Sometimes, though, you can miss out on something cool or fun, especially if you don’t scroll back in time. 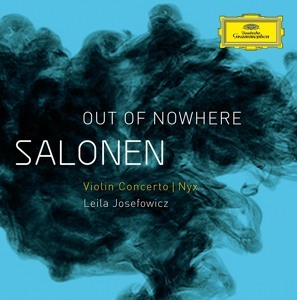 Today, for example, Esa-Pekka Salonen tweeted links to musical clips of two of his compositions — the Violin Concerto with Leila Josefowicz and Nyx — and had I not actually logged in today, I probably wouldn’t have learned about that. (I also learned that the upcoming Deutsche Grammophon release of these two works will feature the Finnish Radio Orchestra instead of the Los Angeles Philharmonic — a topic for a different post on another day). I took a multi-day break from Twitter earlier this week, and almost missed out on some silly musical fun, care of The Royal Conservatory of Canada. 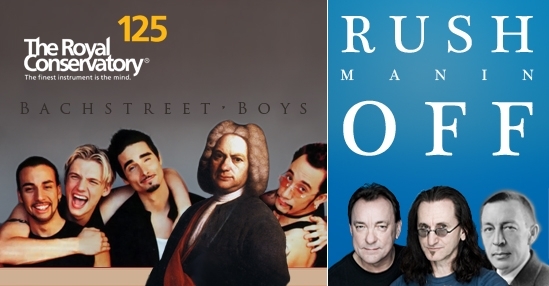 A few other of my favorites include “Pet Chopin Boys” (multiple sources), “Death Kabalevsky for Cutie” (@violinscigars), “4 minutes 33 seconds to Mars” (@NAfME), “Boyz II Mendelssohn” (multiple sources), and “Debussy Cat Dolls” (multiple sources). A bit shocked that neither had apparently shown up prior. In any case, if there are any other gems out there in any of your brains, feel free to share them. Tags: Esa-Pekka Salonen. Bookmark the permalink.